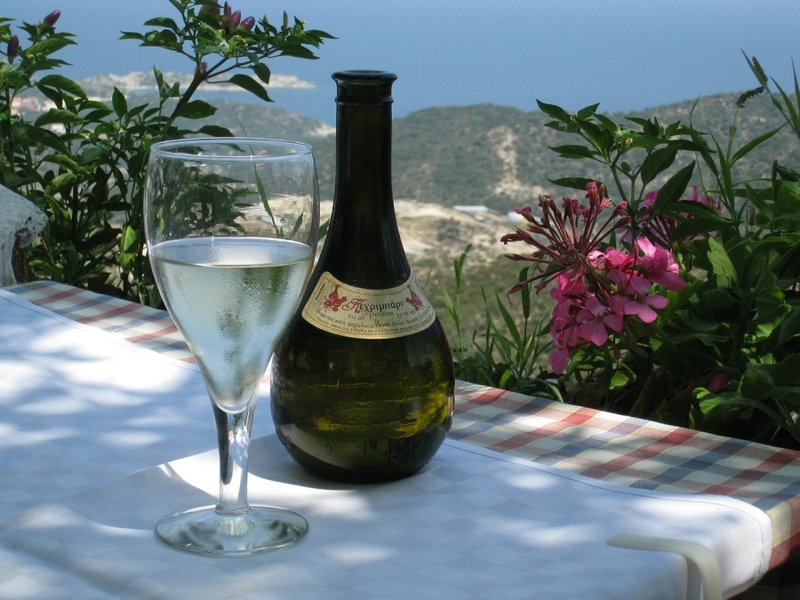 Lemnos (or Limnos) produces some of the best retsina in Greece, and other wines too for those whose palate does not take to Greece’s unique resinated drink. The vineyards are in the western and more volcanic half of this island, which is almost cut in two by the deep gouge of Moudros Bay, one of the biggest and best natural harbours in the Aegean. In complete contrast to the barren and rocky western half of Lemnos, the east is mostly low-lying and agricultural, apart from several areas of marshland. There are a number of good beaches scattered around the coast, although nowhere has really developed very much in terms of tourist facilities. The main town is Myrina, or Kastro, on the west coast, which is also where the ferries call in that link the island with towns such as Kavala and Rafina on the mainland, and other islands like Lesbos and Chios. There is also a small airport with daily internal flights to Athens, Thessaloniki and Lesbos. Myrina is an enjoyably ordinary town, with an attractive waterfront, a couple of decent beaches close at hand and a picturesque small fishing port. There are also the ruins of its Byzantine Castle to explore, and from here there are excellent views over the town and the whole west coast from the site where the original acropolis once stood. In the old part of the town there are cobbled streets and some grand Ottoman houses, some of which have seen better days. In one 19th-century mansion is the Archaeological Museum, which does its best with the limited displays that it has. There are several minor classical sites around the island, such as Polyochni (which dates back to 3000BC), Ifaistia and Kabireio, but much work remains to be done on these. You can fly to Lemnos International Airport from Athens on Olympic Air. 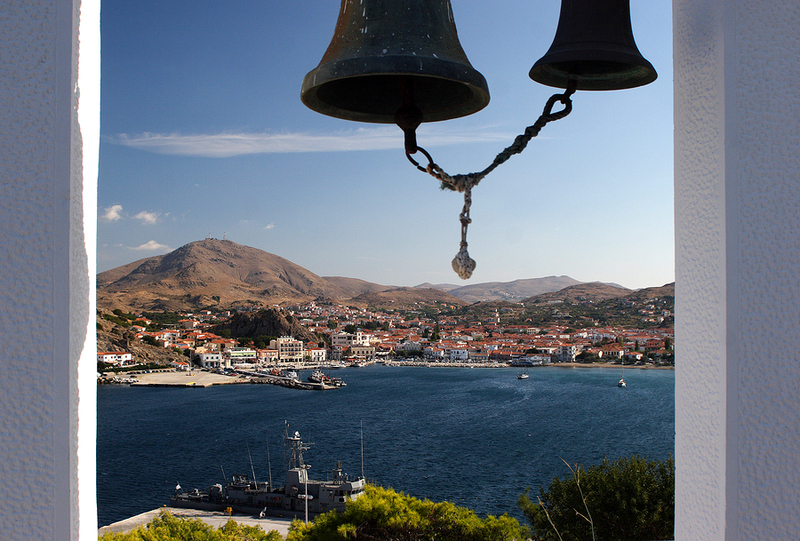 There are also flights on Sky Express to Lemnos from Thessaloniki, Lesbos and Ikaria. 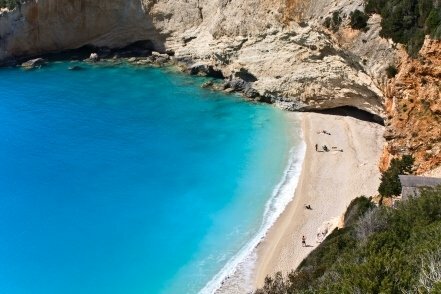 British Airways also do direct summer charter flights from London Heathrow Airport to Lemnos. There are daily ferries to Lemnos (or Limnos) from Kavala on the Greek mainland, with a journey time of between four and five hours. There are also one or two ferries a week to Lesbos (journey time over five hours). 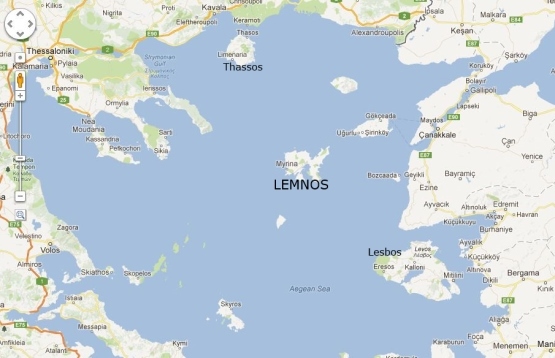 Ferries between Athens and Lemnos depart from the ferry terminal at Lavrio, about 30 miles south-east of Athens. There are 1-2 sailings per week and the journey time is 10-11 hours. Ferries in Greece has an excellent and very thorough website where in addition to checking ferry schedules and times, you can also book tickets and get lots of useful information about travelling by ferry in Greece.